But one of God's attributes is undefinable right? you've got to keep going. But you can prove clooney isn't paraplegic. 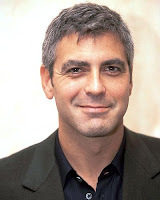 So we can agree there is only one george clooney, but I can prove you are wrong when you say those things. You cant prove or disprove anything about god. If all these people assume there is only one god and that they are praying to him, then logically, they can all assume they are praying to the same god. whether or not you can prove specific characteristics of God, by definition, these gods defined by various religions are incompatible with one another, and therefore, it's not the same god.